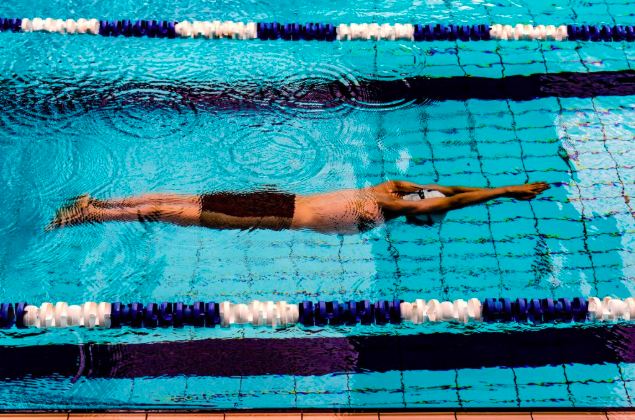 A little post-pool stretch can work wonders for the body and mind. Find five super-simple yoga poses to give a little love to those hard-working muscles and joints of the shoulders, neck, chest, spine and hips. The simple but sweet cat-cow flow is a dream for the spine and the mind, stretching the muscles of the torso and neck. The big daddy of yoga poses, downward-facing dog is a fabulous all-rounder, providing a deep stretch from head to heels. Known as a ‘heart-opener’ in yogic circles, this gentle backbend targets the muscles of the chest, shoulders and stomach. Stretch the inner thighs and groin with this super-gentle hip-opener. Draw the heels as close to the pelvis as is comfortable – don’t force it! Please note: This article is only intended as a guide and we would always recommend that you visit your GP, physiotherapist, yoga instructor or movement assessor to receive targeted advice and exercises.